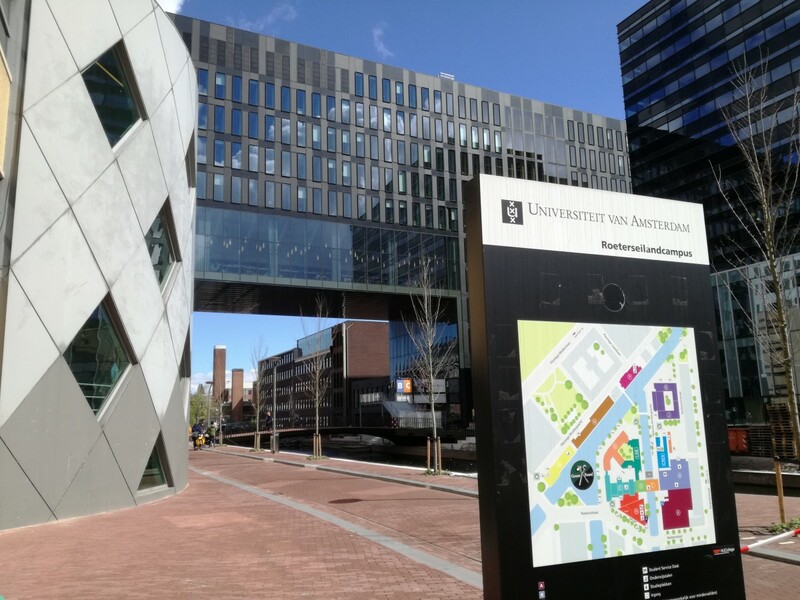 From April until June 2017, I taught the course Public International Law (in English) at PPLE College at the University of Amsterdam. Together with dr. Marta Bo and prof. dr. Yvonne Donders, we facilitated this intense course. PPLE is a Bachelor’s programme combining four disciplines, namely Politics, Psychology, Law and Economics (PPLE). It is a collaboration between the faculties of Economics and Business, Social and Behavioural Sciences, and Law. The programme is founded on the notion that the contemporary challenges posed by a globalising economy, international terrorism and social inequality cannot be addressed from the vantage point of one academic discipline. The PPLE College started in September 2014 and has built up a steady flow of 200 students a year, about half of the students come from abroad. See this website for more information about the academic programme. The course Public International Law is a second year course that introduced students to the system of rules and regulations governing relations between states, International Organisations (IOs) and individuals. The course provided a general introduction to the fundamental principles of public international law and the nature and structures of the international legal system. It addressed the sources of international law, such as treaties and customary law, the main players on the international scene, namely States, non-State actors such as IOs, individuals and multinational corporations, and the relationship and interaction between international and national law. The course briefly touched upon the basics of different fields of international law (international humanitarian law, international environmental law and international criminal law) and addressed several specific issues such as the use of force, dispute settlement and state responsibility. Throughout all these topics, a special focus was put on international human rights law, for example as it relates to the special character of human rights treaties, individuals as subjects of human rights, and supervision and interpretation of human rights law. The course consisted of 2 lectures (of 2 hours) per week and 2 tutorials (of 2 hours) per week. The lectures provided a general introduction into the main doctrines and topics of public international law and international human rights law, focusing on the United Nations system. After each lecture, the topics addressed in the main session were the object of more interactive analysis and discussion during the tutorials. 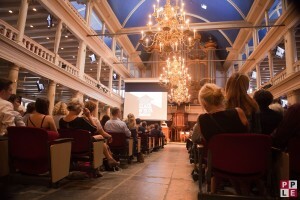 All tutorials took place at the Roeterseilandcampus in Amsterdam. For the Public International Law course, we used the textbook of prof. Rebecca Wallace and Olga Martin-Ortega, entitled International Law, which is published by Sweet & Maxwell. In addition, study materials were added for each week on Blackboard. During my tutorials, I often showed short youtube movies to explain complex international law issues, for example the short clips of Lex Aminata to explain the subjects of international law, ius cogens, state jurisdiction and the UN Security Council. The 6th of July, the first batch of students graduated from this bachelor programme. This event was celebrated in the UvA’s Old Lutheran Church, a beautiful location for a festive evening. During the ceremony UvA Rector Magnificus Karen Maex and PPLE dean Radboud Winkels congratulated the new graduates and wished them success going forward. Edgar du Perron, professor of Private Law, used the occasion to reflect on his time as dean of the UvA’s Faculty of Law when the PPLE programme was conceived. One of the students, Anne Craanen, received the thesis award for the best thesis of 2017. She wrote her thesis about a very interesting subject: women who recruit for ISIS. Her research showed that women are not viewed as a threat because of common assumptions about gender differences. Anne Craanen used her acceptance speech to stress how ISIS benefits from such assumptions and that the consequences of gender discrimination can accordingly be very serious. I really enjoyed teaching this course and the students were very positive about our course in the evaluations. They even give me the overall grade 8.0, which made me very happy. I look forward to teaching the course next year again!